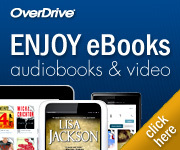 Hi everyone, here are our suggested daily recommended titles in print or media and digital formats. The story of the billionaire trader Steven A. Cohen, the rise and fall of his hedge fund, SAC Capital, and the largest insider trading investigation in history—for readers of The Big Short, Den of Thieves, and Dark Money. Cohen and his fellow pioneers of the hedge fund industry didn’t lay railroads, build factories, or invent new technologies. Rather, they made their billions through speculation, by placing bets in the market that turned out to be right more often than wrong—and for this they have gained not only extreme personal wealth but formidable influence throughout society. Hedge funds now manage nearly $3 trillion in assets, and competition between them is so fierce that traders will do whatever they can to get an edge. Cohen was one of the industry’s greatest success stories. He mastered poker in high school, went off to Wharton, and in 1992 launched SAC Capital, which he built into a $15 billion empire, almost entirely on the basis of his wizardlike stock trading. He cultivated an air of mystery, reclusiveness, and extreme excess, building a 35,000 square foot mansion in Greenwich, Connecticut, and amassing one of the largest private art collections in the world. On Wall Street, Cohen was revered as a genius. That image was shattered when SAC became the target of a sprawling, seven-year government investigation. Labeled by prosecutors as a “magnet for market cheaters” whose culture encouraged the relentless hunt for “edge”—and even “black edge,” or inside information—SAC was ultimately indicted in connection with a vast insider trading scheme, even as Cohen himself was never charged. 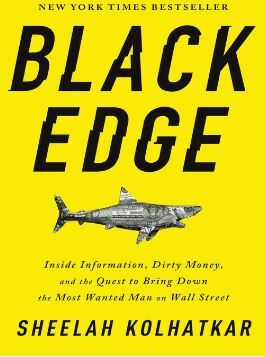 Black Edge offers a revelatory look at the gray zone in which so much of Wall Street functions, and a window into the transformation of the U.S. economy. It’s a riveting, true-life legal thriller that takes readers inside the government’s pursuit of Cohen and his employees, and raises urgent questions about the power and wealth of those who sit at the pinnacle of modern Wall Street. 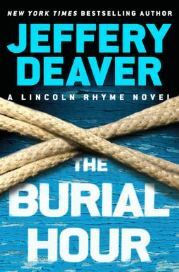 Forensic detective Lincoln Rhyme is back with his most harrowing case yet in this newest installment of Jeffrey Deaver’s New York Times bestselling series. A businessman snatched from an Upper East Side street in broad daylight. A miniature hangman’s noose left at the scene. A nine-year-old girl, the only witness to the crime. With a crime scene this puzzling, forensic expertise of the highest order is absolutely essential. Lincoln Rhyme and Amelia Sachs are called in to investigate. Despite their best efforts, the suspect gets away. So when a similar kidnapping occurs on a dusty road outside Naples, Italy, Rhyme and Sachs don’t hesitate to rejoin the hunt. But the search is now a complex case of international cooperation–and not all those involved may be who they seem. Sachs and Rhyme find themselves playing a dangerous game, with lives all across the globe hanging in the balance.